Annual fuel utilization efficiency, or AFUE, measures furnace efficiency in converting fuel to energy. Fire & Ice shares an overview of how AFUE can help you get the most efficient furnace for your home. Furnaces and other fuel-based heating systems convert fuel to heat. During this process, a fraction of the fuel ends up as waste material. An efficient furnace should be able to utilize as much of the fuel as possible by minimizing waste and maximizing fuel mileage. This is why checking the furnace AFUE ratings is important; a furnace with a high AFUE rating can get you the most heat for the dollar. For example, if your home is fitted with a furnace rated at 90% AFUE, this means that for every dollar spent on fuel, 10 cents are lost as a byproduct, like soot or vapor. If you are in the market for a new furnace, make it a point to choose one with better AFUE. 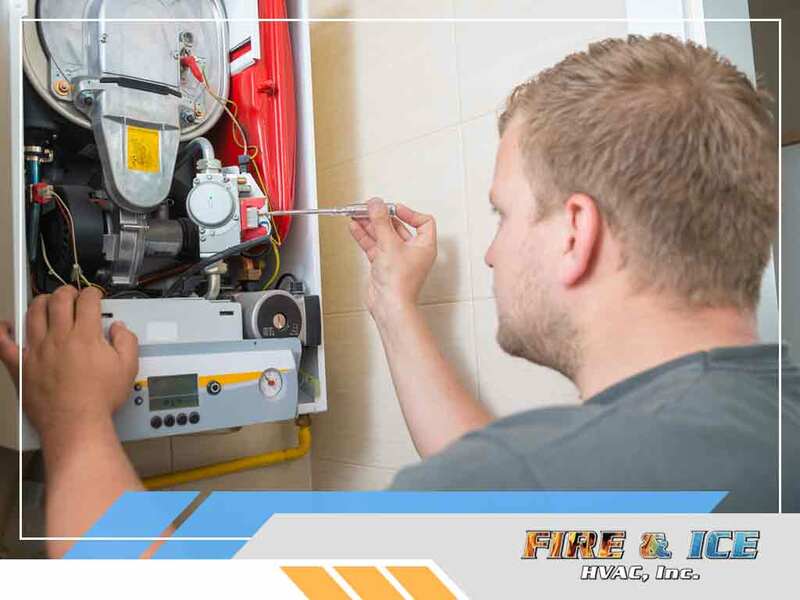 Certain types of furnaces are relatively less efficient than others, so switching to a different type should always be considered. For example, traditional oil furnaces are typically rated at up to 60% AFUE, while high-efficiency can go as high as high as 98.5% AFUE. Electric furnaces are another option: since these furnaces do not actually burn fuel, they are often rated at 100% AFUE. Fuel type is a major factor that affects furnace AFUE. Wood is perhaps the least efficient, with wood-fired furnaces generally being rated below 50% AFUE, while gas-fired furnaces can have as high as 95%. Unfortunately, furnaces are designed to consume a particular type of fuel. Simply switching from one fuel to the other won’t work, and may actually damage the furnace. When buying a new furnace, it’s important to keep in mind that the AFUE indicated on the furnace are tested in factory conditions. Your home’s humidity levels, insulation and the condition of the existing ducts, can affect furnace AFUE. Components that affect indoor temperature, such as windows and entry doors, are also factors to consider. Soot deposits in the pipes and chimneys can also reduce furnace AFUE by as much as 20%. To learn more about how you can choose an efficient furnace for your home, call Fire & Ice today at (703) 496-5527. You can also fill out our contact form to schedule an appointment. We serve Woodbridge and surrounding areas.